The Aldens find themselves right in the middle of an Iowa cornfield and a brand-new mystery The children visit a farm that s famous for its wonderful corn maze. Every year the maze is open to visitors, and there s even a festival But who is damaging the maze at night? 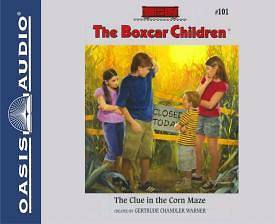 Can the Boxcar Children catch the culprit and save the festival?"